She often delighted audiences by announcing that Jim would make the speech, and then she sat down. Those who knew her, especially her two daughters, claimed that she was anything but retiring. They said she was the strong one in the family, enforcing the rules, and Jim was the quite, pushover. The couple met after Miriam’s father died and her mother employed a young lawyer, James Edward Ferguson, to settle the estate. Jim Ferguson, the son of a Methodist preacher, was from the other side of the tracks, and he felt fortunate after a long pursuit to have finally won the reluctant Miriam. Although Miriam was a teetotaler, she followed her husband’s policies and supported the “wets” in the fight against prohibition. She campaigned against the Ku Klux Klan that was gaining influence across the South. After her election she got an anti-mask bill passed, which was aimed at the KKK, only to have it thrown out as unconstitutional. Despite trouncing her Republican rival, or perhaps because of it, the rumors of wrongdoing plagued her two-year term as governor. The Fergusons were obsessed with the plight of prisoners, even going as a family to visit jails. Miriam Ferguson pardoned an average of 100 convicts a month (over 4,000 during her two non-consecutive terms), claiming many of them had only violated prohibition laws. Her fiscal conservatism led many to believe that her liberal acts of freeing prisoners were meant to relieve the cost of housing them in the penitentiary. Critics claimed that prisoners paid Jim Ferguson for their pardons and paroles and that Miriam should be impeached. No proof was ever presented. 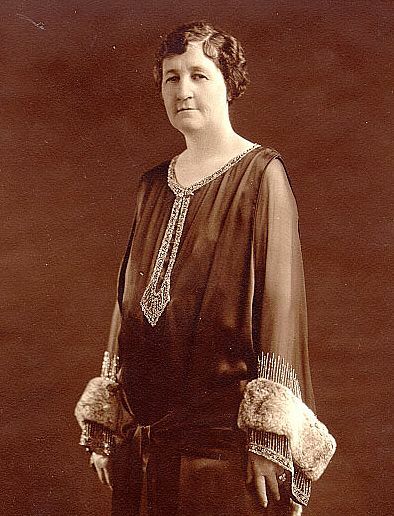 The accusations that she and “Pa” were accepting bribes from prisoners and that the Fergusons received lucrative kickbacks in exchange for state highway contracts allowed Attorney General Daniel Moody to beat Miriam Ferguson in the election of 1926. When the Texas Supreme Court refused to allow Jim Ferguson to run for governor in 1930, Miriam Ferguson stepped forward, only to be defeated. Again in 1932, after voters had experienced the full impact of the Great Depression, Miriam Ferguson won her second term by blaming then Governor Ross Sterling for the state’s woes. She promised to lower taxes and cut state expenditures, condemning Sterling for waste, graft, and political favoritism—many of the vices for which she was blamed in her first term. Miriam Ferguson listed the accomplishments of her administration as taxing gasoline for highway improvements and taxing tobacco for school financing. She signed a law establishing the University of Houston as a four-year institution and was most proud of a more strenuous bootlegging law. 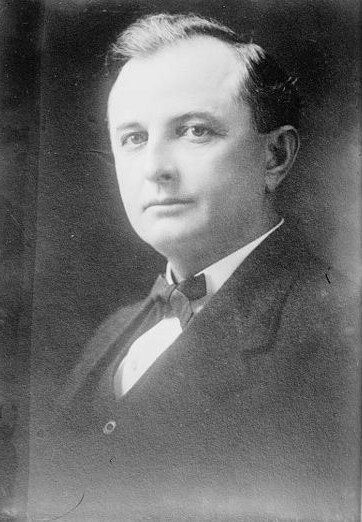 In her bias against alcohol, she had even demanded that Amon C. Carter, nationally known civic booster and founder/publisher of the Fort Worth Star Telegram, resign as chair of the Board of Directors of Texas Tech because he was seen drinking liquor (“drunk as a biled owl”) at the Texas-Texas A&M football game. He did not resign. You have to admire that woman’s shrewdness. Congratulations on the great Kirkus review of Stein House! Your books and blogs make Texas history fascinating. Thank you faithful friend and reader. Love her campaign slogan! Now there was a woman of wit and resource, the personification of shrewdness..to me at least, much more savvy than today’s leaders, it would seem several Miriam Fergusons are needed in many parts. Well done, Myra, another great one! Your comments always make my day. Thanks so much.